Description Frederik Kaemmerer was a fashionable painter of historicist scenes and genre pictures. He was of Dutch origin but active principally in France. He studied under Jean-Léon Gérôme (1824–1904) and exhibited at Paris Salon from 1870 onwards and was a frequent associate of Walters' continental agent, George Lucas. 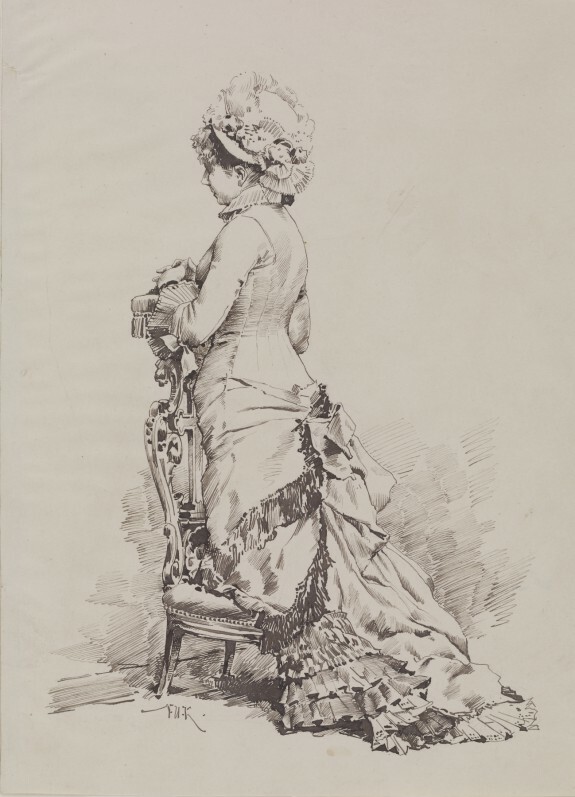 Walters kept this drawing in a specially constructed album of drawings of people at prayer that included works by French and German artists. Provenance William T. Walters, Baltimore, 1870 (?) [mode of acquisition unknown]; Henry Walters, Baltimore, 1894, by inheritance; Walters Art Museum, 1931, by bequest.